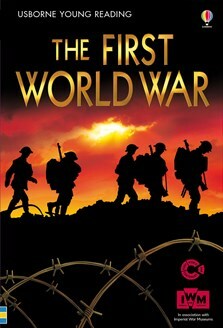 The story of the First World War, and the people who lived and died fighting in it, specially written for young readers. Chapters include ‘The world at war’, ‘Over by Christmas’ and ‘The homefront’. Includes photographs, maps and full-colour illustrations, as well as internet links to recommended websites for further information through Usborne Quicklinks. Written and published in association with Imperial War Museums.